Support “Cooling off for CHM” for the summer of 2018! Please join the family’s fundraiser “Cooling off for CHM” and spread the word about CHM (Choroideremia). 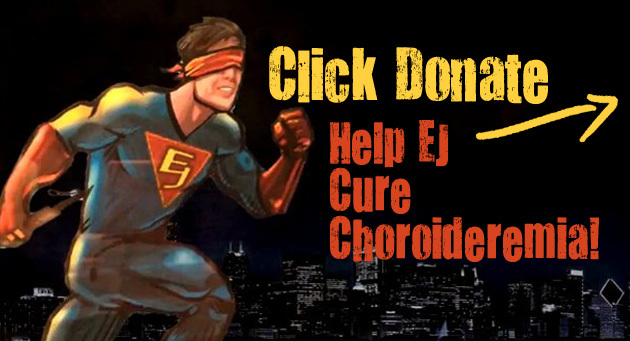 This summer EJ’s family is running a special summer fundraiser to raise money to cure CHM! It’s called Cooling Off for CHM! CHM has no cure or treatment at the moment, but we want to that to change! Below are the major annual campaigns that EJ has already run and will run in 2016. As more become available we will add to them here. 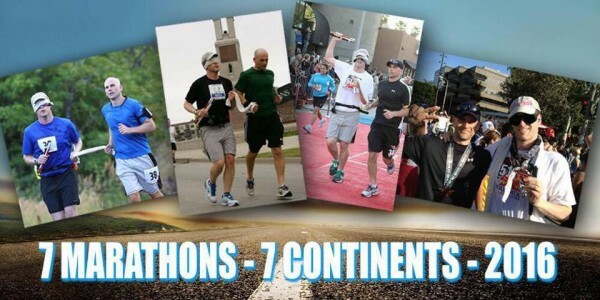 We’ve just updated our section here on EJ’s site for his Marathons to include his 2016 runs on 7 Marathons on 7 continents in 2016 and the list of charities he will be supporting this year. 2014 CRF $1 Million Goal for a Cure!! There is a special page devoted to this enormous $1 Million Goal for 2014. Click here to learn how you can easily help to reach the goal. THE GOAL: To raise $1,000,000 in 2014. THE FAVOR: Anything you can do to help is greatly appreciated. Every little bit helps. Learn how you can help by clicking here. 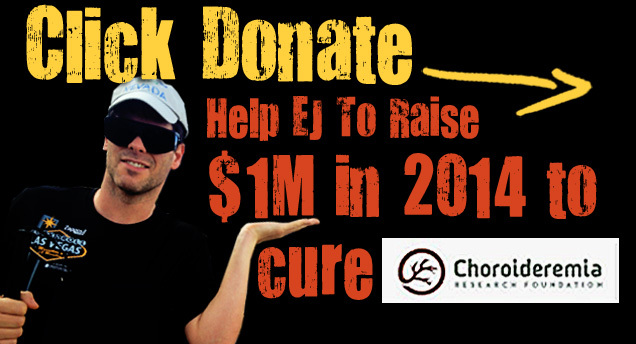 EJ earned over $150,000 for the CRF during 2012 running all twelve Marathons. He got some folks attention, so he thought “how can I reach more people?” because there still isn’t a cure or even a treatment. 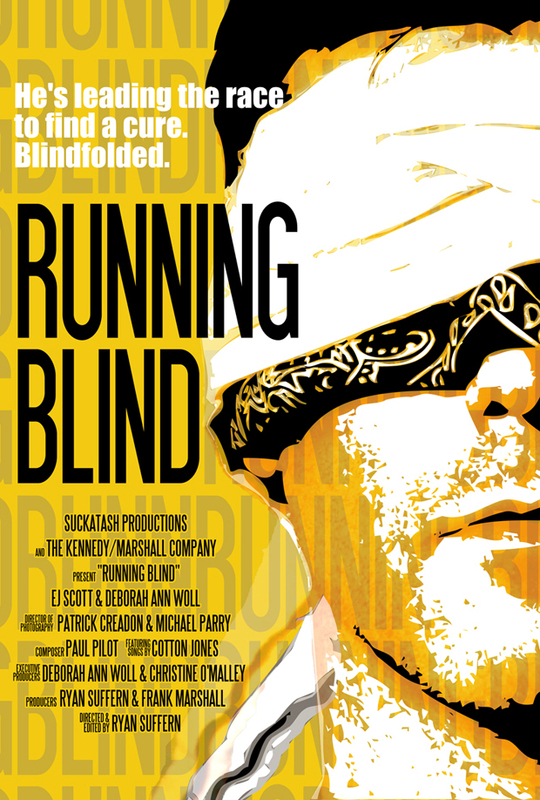 THE CHALLENGE: EJ will be running 12 marathons, in 12 different states, in 12 months, and he’ll be running them blindfolded, *with an experienced guide. THE GOAL: To raise $12,000 per race. That’s $144,000 all told and all of it will be going directly to the foundation. THE FAVOR: Anything you can do to help is greatly appreciated, whether it’s a donation, sponsoring EJ for the marathons or simply spreading the word. Every little bit helps. 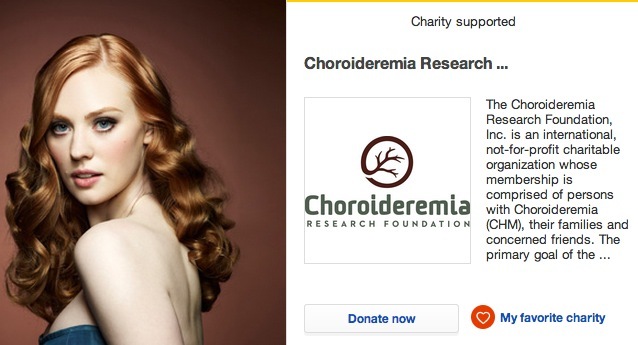 Please remember that you can help EJ raise funds for Choroideremia, just by clicking on the button below.